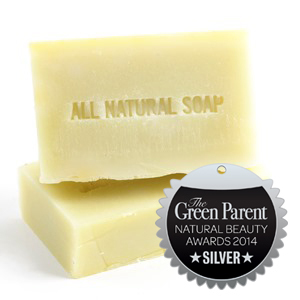 All Natural Soap Co - Award Winning Handmade Soaps - Handcrafted soaps for everyday use. 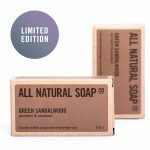 Brand New – Green Sandalwood soap! There is something so ancient and alluring about Sandalwood. The depth and exotic richness of this scent have been bewitching humans since antiquity; and, once we’re told, its easy to see that it forms the base of some of the most exquisite perfumes in the world. Perhaps without knowing it, we associate this multi-faceted scent with quality and as something to be treasured. Sadly, in recent years, our desire to surround ourselves with this special smell has outstripped our desire to treasure it. The result, not surprisingly, is that the majestic Santalum Album tree that must live for at least 30 years before its precious oil is harvested, is now endangered or, more specifically ‘vulnerable’. 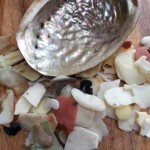 For some years now, despite a great number of customer requests, endangered Sandalwood trees meant that we could not or, more importantly perhaps, would not, create a sandalwood soap. 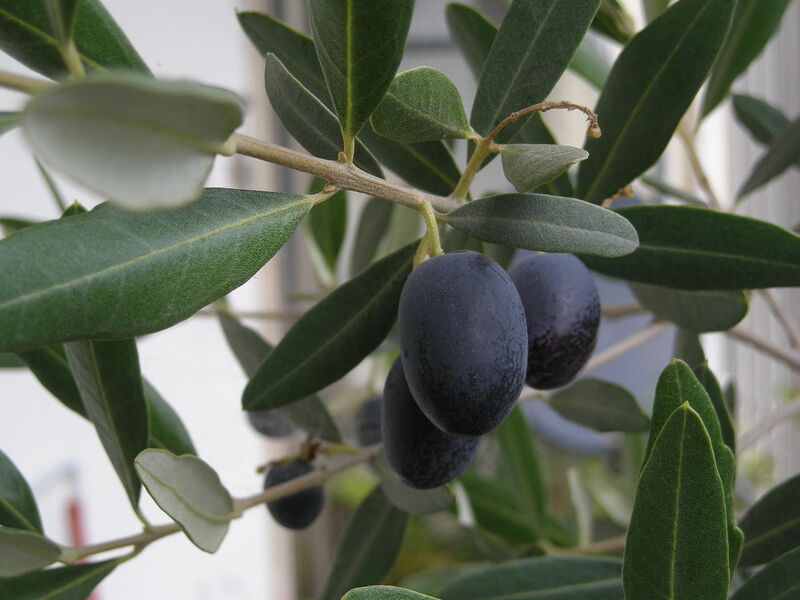 That was… until we discovered some non-endangered sandalwood varieties! Never ones to turn down a challenge – particularly a scent-related one! – for more than 2 years we have been busily exploring ways we could bring you a gorgeously-scented sandalwood soap that didn’t have a negative environmental impact. Over this time, we’ve looked at and experimented with a wide variety of sandalwood oils and suppliers from all over the world. 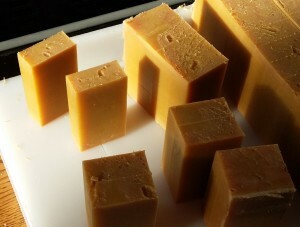 Our brand new Green Sandalwood soap! 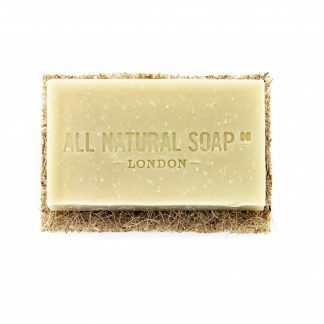 Our soap is ‘green’ in that we’ve scented our soap 100% naturally with a blend of non-endangered sandalwood oils from Australia and the Caribbean, that are high in the all important true essence of sandalwood ‘santalol’. It’s also ‘green’ because as part of our special scent blend we’ve added some lovely green and spicy heart notes. We really are very excited to bring this special soap to you, and just wish we could offer you a sniff through the computer screen. *Because of the long growing time, high demand, dwindling tree numbers and Indian export restrictions, sandalwood essential oil is very expensive. 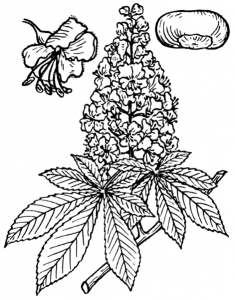 For this reason, most ‘sandalwood’ products on the market contain at least some synthetic fragrance components. **Don’t worry, we of course use the UNtoasted variety. Following years of development, and with the kind help of testers, we’re beyond excited to announce the launch of TWO totally natural shampoos, well suited to even hard water conditions. This is a question I’ve been asked every week this year so far, so I thought I’d share a recent email I wrote to a customer on the subject. Have you ever tried/thought about washing your hair with soap? We’d love to hear your experiences or reservations! You can leave your comments at the end of this post, or get in touch with us here. Can you wash your hair with your soap? 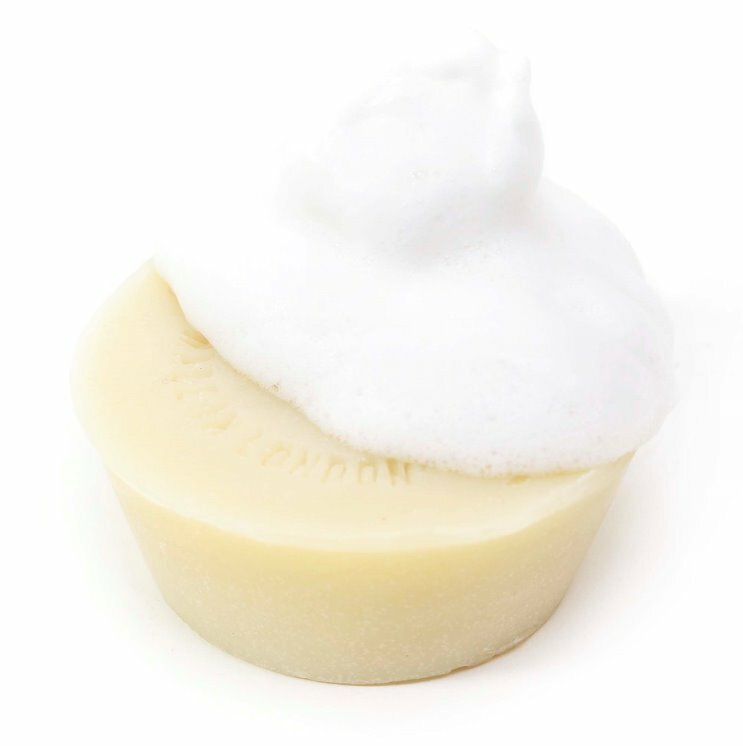 Although not specifically formulated for use as such, many of our customers are pleased with the results they achieve when using some of our soap bars as shampoos. The most popular in general are the Gentle Goat’s Milk and Ylang Ylang Flower. For those with dry/sensitive skin and scalps though, the Castile soaps generally win out. The most unintuitive part of washing your hair with soap (as opposed to the body) is that it won’t necessarily entirely wash off the hair, as it does with the body, in hard water areas. The minerals in the hard water react with the soap, deposit on the hair and can leave it feeling ‘unclean’ or ‘waxy’. This is easily resolved by using a simple acidic rinse after washing the hair with soap. (Instructions below). In soft water this is generally not a problem though, and you should be able to wash your hair with soap and have it rinse away. Whether you like how your hair feels though, will be related to whether you’re using an appropriate bar, and the factors mentioned above. In general, people with short hair and non hyper sensitive scalps, should do well with the Goat’s Milk and Ylang Ylang bars. The Castile soaps tend to work well with those with very dry, curly hair and they are simply loved by our customers with dreads. Depending on what you’ve been washing your hair with before, you may need to go through an adjustment period. Shampoos/conditioners with silicones and other plastics in them leave a coating on the hair that will need to be removed before natural shampoo (bar soap) will work. The rinse described below is a good start, but in general this will just take time – on average, anywhere from 1 wash to 1 month of washes. During this adjustment period, the hair can feel excessively dry or oily but this should normalise in time. 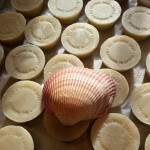 Technique is also important – particularly with the less foamy Castile soaps. You can either ‘hand lather’ and apply the foam to the scalp, or rub the bar directly into the scalp, making sure to cover the entire scalp. It is not necessary to ‘wash’ the ends of longer hair, as these will be cleaned when you rinse out the shampoo. Excessive scrubbing of the bars on the lengths of the hair can lead to knotting. 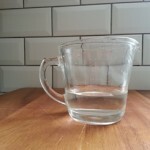 This is really easy – simply add 2 tablespoons of vinegar to a 1ltr jug and take into the shower with you. When you’ve finished cleaning your hair with the soap bar, fill your jug up with water from the shower and pour over the head. If your hair is long, you can make the rinse last twice as long (and therefore increase the detangling benefits) by only using half a jug-full, then re-filling the (half-full) jug again and rinsing. Detangling long hair with your fingers while rinsing is also a good idea. 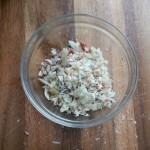 The amount of vinegar is a guide and you may need to adjust the proportions to suit. 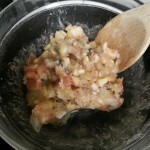 In general, more vinegar = more conditioning/detangling effects, but only up to a point. You don’t want to be using neat vinegar on the hair, as this may actually cause an opposite drying effect. 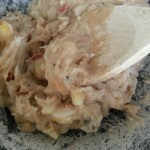 Whether you rinse the hair with water after the vinegar rinse is a matter of personal taste. The faint vinegar smell does go away once the hair is dry, but some people like to doubly make sure and rinse again with water. This will however, cause the hair cuticles not to lie as flat, and therefore not look as shiny and be more prone to tangling. If the final (post vinegar) rinse is of very cold water though, this can help increase shine. The most popular hair-rinse-vinegar right now seems to be raw Apple Cider vinegar. 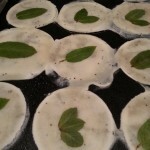 Personally, I find this too drying though and love cheap and simple White Wine Vinegar. If your scalp is particularly itchy/hair is very dry/frizzy, you can add a teaspoon of honey to the vinegar (making sure it is smooth, not crystalline and well dispersed in the vinegar-water). This also can help with the vinegar smell. Note: in Sri Lanka, limes are rubbed on the hair to increase shine. I haven’t tried this myself, but could be an interesting and fragrant option! Also, one of our customers with hyper sensitive skin (and very hard water) has decided to buy in distilled water to wash her hair with (as opposed to using the vinegar rinse). Note: If your skin is VERY sensitive, then the vinegar rinse is best done over the bath (so you only get it on your hair, not skin). I hope washing your hair with bar soaps works for you but do bear in mind that for a few people sadly it simply doesn’t work. The convenience and lack of plastic that one bar soap/shampoo affords though, is for me at least, a good reason to give it a fair trial. If you have any questions about washing your hair with our soap bars, then please get in touch, or leave us a comment below. We’d also love to hear from you if you fancy sharing your experiences of washing your hair with soap bars. 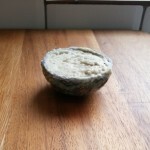 Ooh and for those of you that have read this far, we can confirm that the rumours are true – we are indeed developing some ALL NATURAL SOAP Co shampoo bars! Like all our products, these will only be released when we’ve got them just right, but if you fancy becoming a future tester then please get in touch. 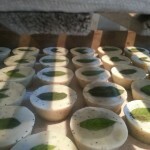 I’m often asked by customers if there’s anything they can do with the ends of their soap bars. 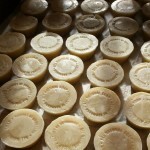 Apart from washing with, there are numerous uses for soap around the house. Something I particularly like to use it for, is to make difficult drawers glide smoothly again – just rub it on the runners! If you choose a scented variety, you’ll also be greeted by a lovely smell each time you open the drawer. This tip was actually shared with us by a customer on our Facebook page. Thank you for the great idea! 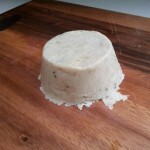 But what if you’d actually like to use your scraps to wash with (and would like a more durable and attractive option than the ‘squish method’)? Well, look no further. 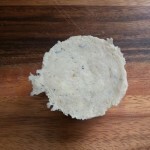 Below is a step by step guide on how to easily transform your scraps into usable bars, cakes or indeed whatever shaped soap you choose. What’s more, you’re bound to have everything you need already in your kitchen. 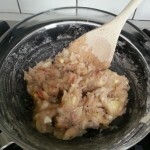 The process is explained in step by step pictures below. You can click on individual images to make them larger. 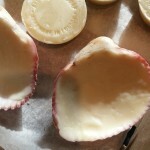 Note: This method works with ALL NATURAL SOAP bars and not necessarily any others. Our bars are glycerine rich and packed full of nourishing oils and butters; this ensures they will reach the gelatinous, moldable stage even when they are a couple year’s old. 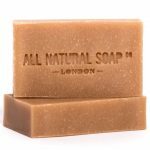 It is unlikely that this will work with non natural soap bars, such as ‘supermarket soap’, or even natural bars produced with palm oil. 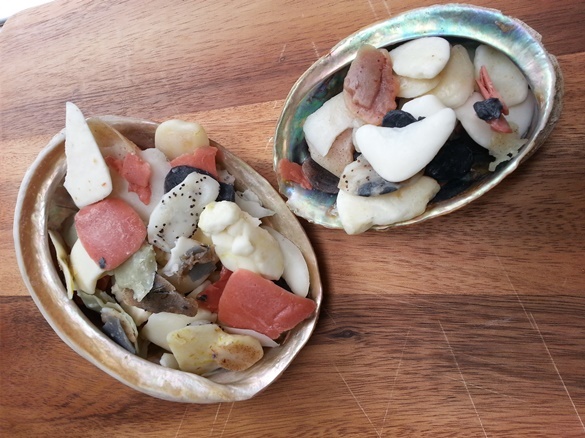 I like to store our soap scraps in shells – a large one in the bathroom, a smaller one in the kitchen. 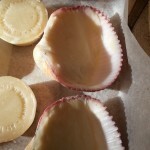 I like the way they look, particularly with all the colours, and when they’re full, I simply use the method below to turn then them into soap bars. Try to (safely) cut the soap bars as small as possible. This will help to melt the soap more quickly. 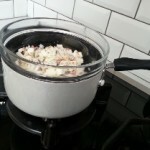 A see-through bowl is helpful as you can easily see the water level below and prevent it boiling dry. 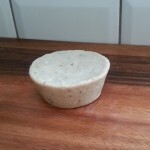 When your soap reaches the ‘mashed potato stage’, you might have some small lumps of hard (older) soap. You can keep on cooking and adding water or to try and dissolve these, but I generally just leave them and enjoy the flecks of colour. Any mould will pretty much do. 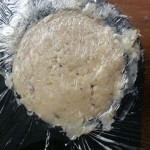 If it is rigid, then popping it in the freezer for 1/2 an hour will help it to release. 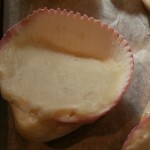 Flexible, silicone muffin moulds are handy as you can easily turn them inside out to pop your soap out. 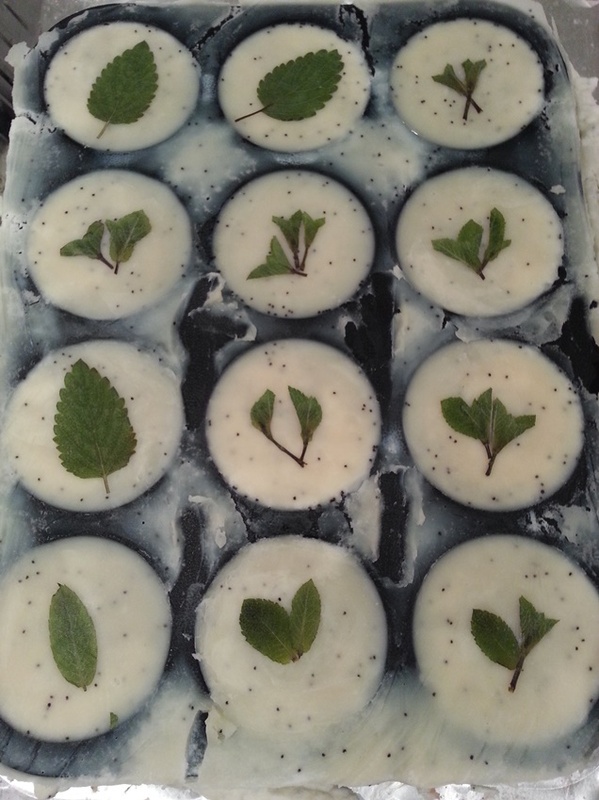 Cling film placed on the surface of your soap will give you a smooth result. The harder you let your soap get before using it, the longer it will last. 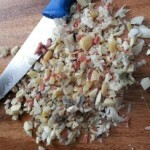 -The amount of water you need depends on how old your soap scraps are. The older the soap, the more water you’ll need as they will have got harder (released water) over time. 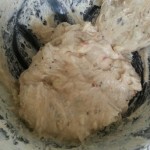 -The more water you add, the longer you’ll have to wait for your finished soap bar to get hard. 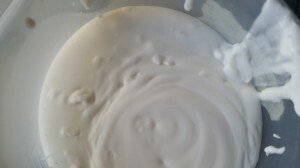 In the pictures below you can see that I chose to leave some soap residue on the bowl. I could have incorporated this by adding more water, but I didn’t want to wait for more than a week before using my new soap. -A good place to start is by using around 50mls of water per small handful of soap. This is what I used to start with in the pictures below. 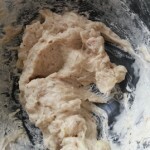 I then added 2 further tablespoons during the melting process. 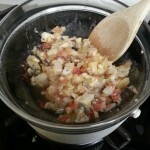 -The key is not to worry too much about it – start with a small amount, you can always add more. 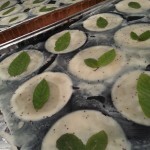 You will definitely have a good feel for the amount of water you need after your first soap scrap adventure! I’d love to hear if any of you have a go at this – you can leave a comment below – and do please feel free to get in touch with us if you have any questions. Soap tips are, as always, very welcome, and we will soon be collecting these in one place on the website. Wow – what an incredible summer its been so far. 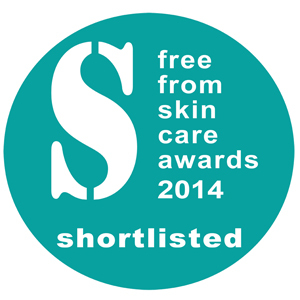 2014 was the first year we were brave enough to enter the prestigious Free From Skincare and Green Parent Awards. We sent 4 soaps out for judging, and an amazing 4 came back with badges. As a very small brand up against all the big well-known names in natural skincare we were delighted just to have our soaps shortlisted. The fact that 3 of our soaps were awarded medals, well, we’re just over the moon. We’ve included some extracts from the judges comments below, which we hope you’ll find interesting. Which soaps won which awards? When we did a quick straw poll among some of our regular extra sensitive-skinned customers, this bar was a key front-runner of the ones they recommended we enter. It seems they were right! Thanks so much for your input here, Stacey in particular. 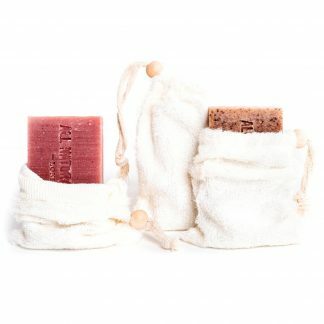 A number of men told us that this is their go-to soap for shaving their heads! A key goal for us when we started making soap was to make a generous part of our range suitable for sensitive skin (as well as all other skin types). Many companies merely remove the scent from their generic formula and then deem it a ‘sensitive soap’. 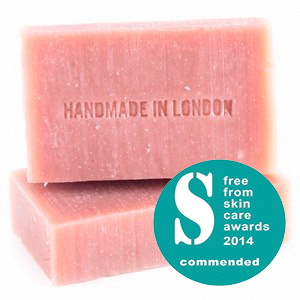 We definitely haven’t achieved all our goals in this area just yet, but to have our sensitive soaps officially recognised by such a prestigious allergy and sensitivity-focused organisation as the Free From Skincare awards, we can, I think, feel hopeful that we’re on the right track. The added recognition from the renowned Green Parent magazine also makes us feel very happy that we’re making a good start at addressing the washing needs of the family as a whole – sensitive skin and children’s skin often being pretty similar. Feedback and comments, as ever, very welcome. Something else we have also been very focused on right from the start are our prices. 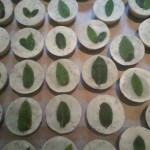 ‘Posh soap’ (as handmade soap is often referred to as), needn’t really be posh at all. 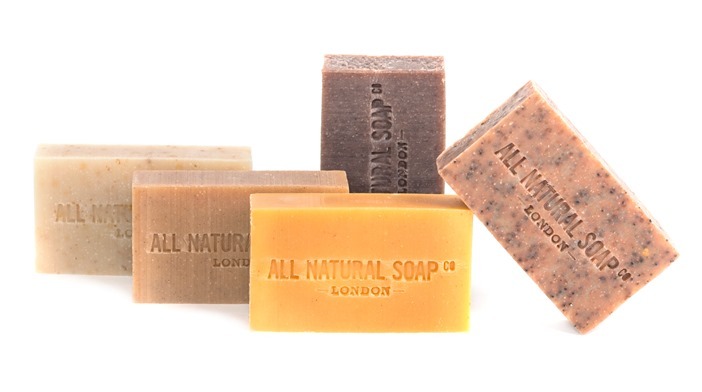 We see no reason why healthy, enjoyable soap shouldn’t be part of as many peoples’ everyday experience as possible, and so work very hard to keep our prices at a level that allows this. That’s why it was so great to see the “excellent value for money” comment in the judges’ feedback. 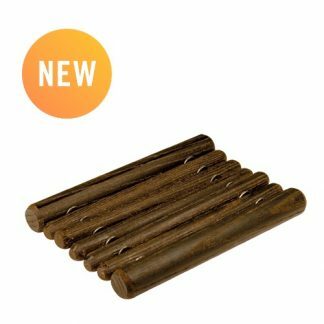 We aren’t a large or even medium-sized organisation with a giant marketing budget, and so, as is extremely rare nowadays, most of what you are paying for when you buy one of our bars is actually the very high quality & ethical ingredients that goes into them. Its interesting to note that the Free From Hard Soaps Gold medal went to a palm oil based bar that retails for around 3-4 times more than our Silver and Gold award winners. I wonder if we should enter some more awards? I imagine this sort of rigorous external testing is something that you find useful when trying to decide which soaps to buy? If there are any soaps in particular you would like us to send out into the world, or indeed specific awards you’d like us to enter, please do let us know. It’s pretty easy to find Fair Trade honey nowadays, but, to our surprise, not so easy to find honey that also takes into account the welfare of the bees. 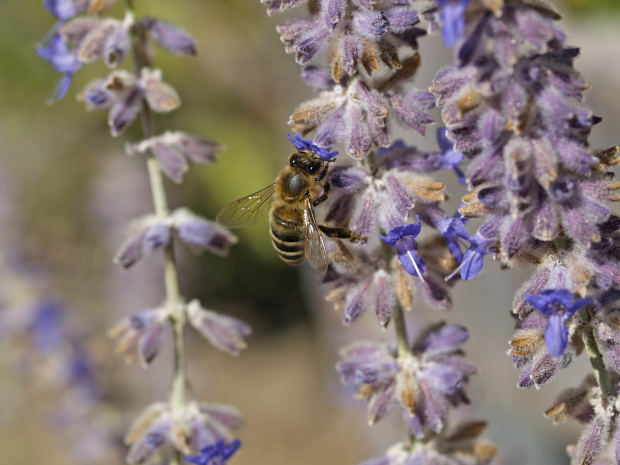 Quite surprising we think given the extensive publicity that the decline in bee populations has received recently in the press and on social media. As most of the ALL NATURAL SOAP Co range is vegan, you won’t find many animal or insect derived products in our ingredients. When we do allow non-vegan ingredients into our soaps, we take care to ensure that they are of highest standards – not just in terms of quality, but also ethically. That’s why we were so pleased to discover Tropical Forest honey! Not only is this honey Fair Trade, it is also wild-gathered and the bees aren’t subject to awful practices such as sugar-feeding or being pumped full of antibiotics. This is the only honey we deem responsible and ethical enough to include in our soaps, and are therefore proud to shout about it! We use this honey in our Oatmeal Soother soap. Organic Forest Honey, Soil Association certified, gathered from wild bees deep in the incredibly diverse, highland rainforests of SW Ethiopia. Wild swarms occupy the hives and start filling them with honeycombs. After a couple of years the beekeepers return, climb the trees and crop the honey, leaving some for the bees. More of these beekeepers join their Beekeepers Association every year confident that they can raise their families on this income from a Fair Trade market. Do feel free to leave further useful links in the comments, and we’ll gladly add them in. I know, I know, what a thing to subject our soapy offspring to. But we did it anyway. Mean hey? Well perhaps not. Being an allergy sufferer, I’ve been a long-time follower of the Free From Food Awards. They’ve put me on to such deliciousness as a vegan, palm oil free ‘cheese’ that actually tastes nice! (the Blue Cheese being a personal favourite); and a whole host of other treats. 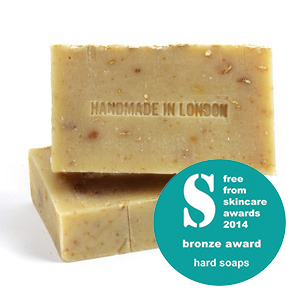 A few years ago though, all my Christmases came at once when they launched the Free From Skin Care Awards. Like their tasty counterpart, these are of course concerned with products that exclude the common food allergens; but they also take into account the use of artificial additives and, extra wonderfully, also ethical issues. There was nothing for it – we had to enter. Then came the hard part, which soaps should we send to be judged? Being all natural, vegetarian (mostly vegan) and palm oil free, our entire range was eligible to enter. Given the allergy focus though, we thought it best to stick with our soaps that are particularly good for sensitive skin. For variety, we chose a pretty soap in our signature scent, the Rose Geranium; our mildest soap, initially actually created for a woman with a severe sun allergy, the Coco Castile; and, of course, the sensitive-skin friendly & scrubby favourite, the Oatmeal Soother. It seems though, we had nothing to worry about. Totally taken aback and flattered beyond belief (particularly as we’re such fans of the awards!) 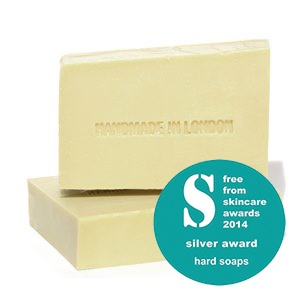 we recently discovered that ALL of the soaps we’d entered had gained some sort of recognition! It turns out that our Rose Geranium has been officially ‘commended’ in the Hard Soaps category, and BOTH our Coco Castile and Oatmeal Soother have been shortlisted to win! Rigorous testing is going on right now of all the shortlisted products, and the winners will finally be announced at the Love Natural, Love Organic show at London Olympia on 4 July. It would be truly amazing to win, but we’re extremely happy to have got this far. “The FreeFrom Skin Care Awards are designed to celebrate and encourage skincare and cosmetics manufacturers who create products that exclude many of the allergens, chemicals, fragrances and artificial additives associated with skin and health concerns, ethical and environmental concerns, and which may appeal to those looking for purer or more natural cosmetics and products for their skin, including those with problem skin conditions. And for those of you that have read this far, we can reveal that we know for certain that we’ve actually won another very prestigious award! I know, we’re totally bowled over. We’ve been sworn to secrecy so can’t yet reveal the details just yet, but Watch. This. Space. We thought you might like to take a look at one of the many new projects we’re working on right now. 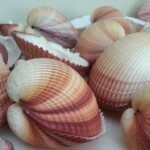 These shells are absolutely beautiful and a by product of the food industry. We thought we’d give them a new use. Any guesses as to what they might be for? Eliza, our founder, was recently featured in a documentary about the Origins of Soap, soon to be aired on Sky TV. Meet Eliza, learn more about why she started making soap, and why we don’t make liquid soap. The seasons are definitely on the change and therefore so are our soaps. 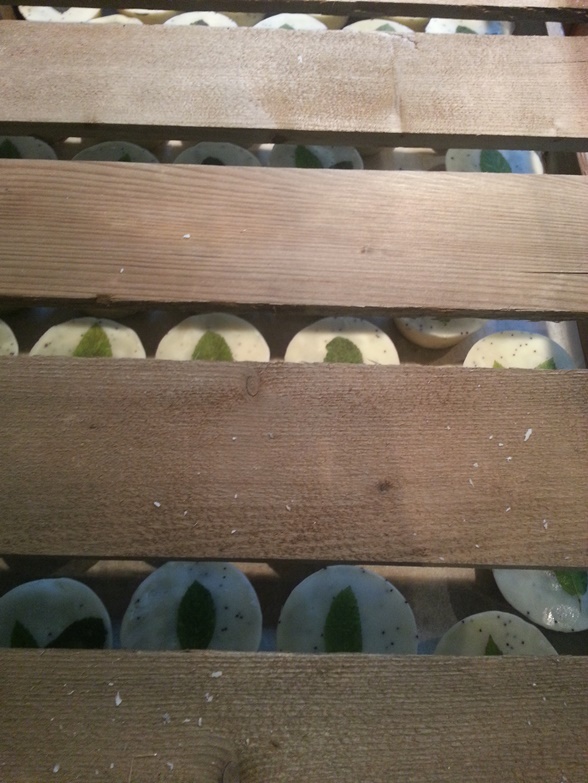 We thought you might like to have a peak through our workshop window and glimpse a new variety that we’ve made recently and is now patiently curing on our drying racks – Our new Minty Fresh Scrub soap cakes. The transition away from summer sun and long lazy days can bring with it some sadness. That’s why we thought we’d capture the freshness and vitality of the passing season and package it up as a lovely decorative soap cake. 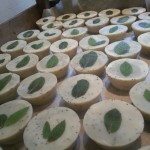 Peppermint essential oil features abundantly in this soap and is famous for steadying the nerves and helping to relieve states of exhaustion and depression. Being dotted with poppy seeds, the soap is also nice and scrubby; meaning that that renewal can also extend to some good exfoliation. These cakes are the same formula as our popular Minty Fresh Scrub bars, so if you’re a fan of these soaps, you’re bound to love their more decorative cousins. They will be ready to adorn your sinks and bathroom in about 4 week’s time, but you’re always welcome to get in touch and place a pre-order now.